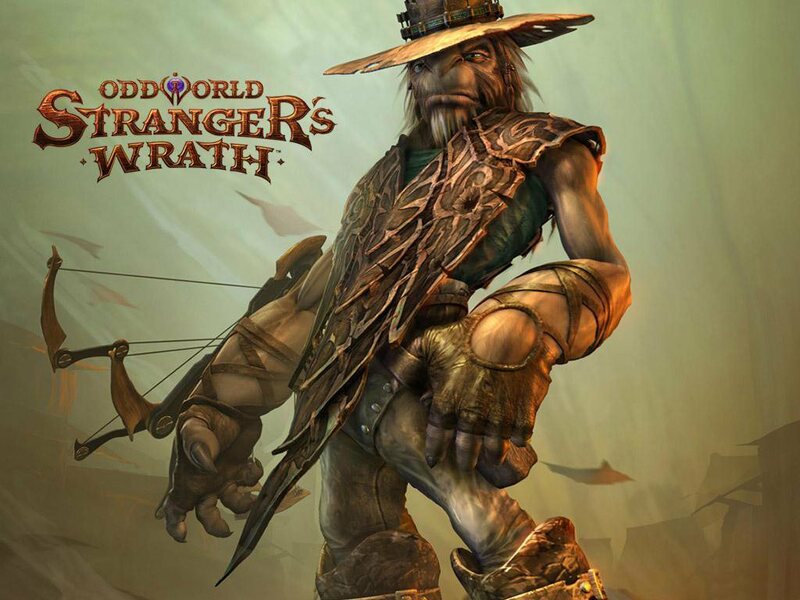 Oddworld: Stranger’s Wrath HD is an upscaled version of the 2005 Xbox title of the same name. In this, you play as The Stranger, a Clint Eastwood-esque bounty hunter — complete with poncho! — who is looking to raise some cash for a life-saving surgery. In order to get this money, he visits various towns to accept bounty contracts, most of which have high payoffs for bringing back the bounties alive (though they pay well for dead captures, too). Gameplay consists of both first-person and third-person shooting, and the transition between the two is seamless. Instead of using the L2/R2 buttons (which don’t exist on the Vita), a simple double tap of the front touch screen will move between the two views. The third-person view is critical for advancing between areas, as the Stranger will plop down on all fours and run extremely fast. Switching to the first-person view opens up the gun-play, with standard controls like many other shooters. As this is an Oddworld title, weapons are anything but conventional. 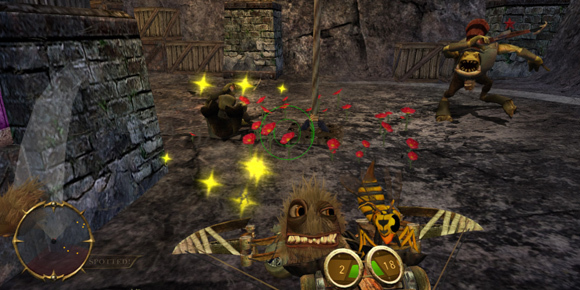 The Stranger’s main weapon, the crossbow, can use several different types of ammo, all of which are actually live creatures. Boombats, zap flies and stunkz are just a few of the different types of critters that can be hunted and captured as live ammo, and each one has its own unique characteristic. Some work as rockets, some work as cannon balls, and others are used to stun and knock enemies down. As such, there are enough options to suit multiple styles of play, though most will likely find two or three types that they will want to use exclusively. The game takes place in a relatively large world full of weird little anthropomorphic characters. Many of the towns are inhabited with chicken-like creatures — their ridiculous voice acting never ceases to amuse me — and they will give you helpful hints if you get stuck. In fact, it’s near impossible to get lost, as pushing the square button will prompt the Stranger to remark on what he’s “gotsta” do next. Another handy Stranger function is the ability to beat his chest in order to heal himself (this is done by pressing the triangle button rapidly). He’s quite a handy little character, and he makes a good central protagonist. Most of the game revolves around finding and acquiring bounties, but just as this becomes repetitious, the story goes in a completely different direction and introduces an all-new set of allies and foes. This is a refreshing twist, even if the final act relies more heavily on shooting than ever before. For $15, Stranger’s Wrath HD offers a lot of bang for its buck. The campaign can last anywhere from 15-20 hours, and it’s a fun ride throughout. The game is incredibly well-suited for the Vita as well, as it is easy to pick up and play in short bursts, and the HD graphics look pretty damn slick on the OLED screen. If not for the dated CGI cut-scenes, this would blend in perfectly as a brand-new title. 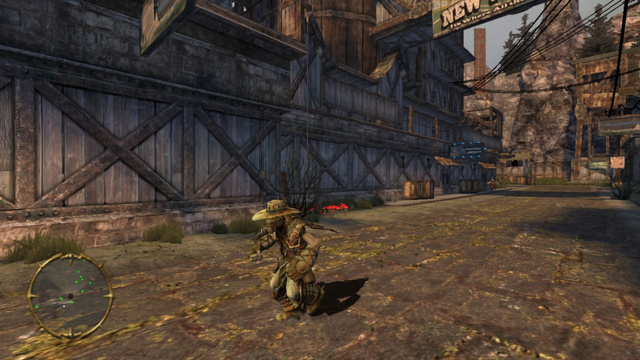 On a system starved for shooting games, Oddworld: Stranger’s Wrath HD stands tall. There certainly isn’t anything else like it on the Vita. I haven’t played an Oddworld game since Abe’s Odyssey. This is the first Oddworld I have played extensively. From what I’ve heard, it’s quite a bit different from the others. Nice review man, I hadn’t even heard of this one. Not sure how I missed it. I’ll have to check it out. Thanks, Brian! Yeah, this is a fun one for sure. Worth playing if you’re ever in the mood for an offbeat action/shooter. I played this game on the Xbox ages after the system had been dead and thought it was an awesome game, which I remember fondly. Nice to see the translation to another platform has been done well. Cool, great to hear you played and enjoyed this one as well! This seems to be an oft-overlooked gem. I’m happy that it has found new life on the Vita.